Come to Our Native Plant Sale on May 11, 2019! Watch for new plant sale listings in the Spring! A wide selection of perennial wildflowers, grasses and ferns grown by Designs by Nature will be available in plug flats or quart sizes. There will also be an assortment of 1-gallon native shrubs for sale. These plants are free of the neonicotinoid pesticides found in some retail outlet stores. Plants can be pre-ordered by downloading the forms below, or you can shop the day of the sale. Pre-orders must be received by Sept. 8th. New this year: Monarch Way Station and Lake Shore Edge plug flat mixes! Includes 38 plants in a mix of appropriate species as well as a design plan. Pollinator, Butterfly Garden, Wildflower and Rain Garden mixes available as well for $65 each. There will be a raffle to win a Butterfly Garden mix during the sale! Proceeds from this fundraiser will help the Wild Ones Red Cedar Chapter continue our educational programs and provide grants to help establish native gardens and fight invasive species in the greater Lansing area. Thank you for your support! Come to Our Native Plant Sale on Sept. 15, 2018! A nice selection of perennial wildflowers grown by Designs by Nature will be available in plug flats or quart sizes. There will also be an assortment of 1 gallon native shrubs for sale. These plants are free of the neonicotinoid pesticides found in some retail outlet stores. Plants can be pre-ordered, (forms will be available on this site), or you can shop the day of the sale. Some of our favorite reference books will be available for sale including Bringing Nature Home by Douglas Tallamy, Using Native Plants to Restore Community in Southwest Michigan and Beyond by Tom & Nancy Small, A Field Identification Guide to Invasive Plants in Michigan's Natural Communities, ﻿A Field Guide to Invasive Plants of Aquatic and Wetland Habitats for Michigan﻿, ﻿Landscaping with Native Plants of Michigan﻿ by Lynn Steiner and Bees of the Great Lakes Region and Wildflowers to Support Them. Wildtype Nursery will be open the last three weekends in May and the last weekend in August for retail sales. Hours are Fri. 9:00 am-5:00 pm; Sat. & Sun. 9:00 am-3:00 pm. Find all the retail sales information and download the catalog here. 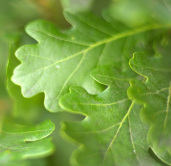 Wildtype specializes in growing plants native to Michigan, from Michigan genotypes. They grow trees, shrubs, grasses and wildflowers typical of Michigan woodlands, wetlands and prairies. It is their objective to propagate nursery stock with enough genetic diversity to create self-sustaining populations. BetterFinds LLC is a Michigan licensed nursery offering specimen & architectural grade native Michigan perennials & ferns. They specialize in shade-loving woodland wildflowers and will have a booth at the Meridian Township Farmers' Market and other early opening farmers' markets throughout southeast Michigan. For more information click ﻿here﻿. A nice selection of perennial wildflowers grown by Wildtype Nursery will be available. 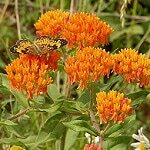 We will have plants that support pollinators and milkweeds for Monarchs! These plants are free of the neonicotinoid insecticides found at some retail outlet stores. Some of our favorite reference books will also be available for sale including Bringing Nature Home by Douglas Tallamy, Using Native Plants to Restore Community in Southwest Michigan and Beyond by Tom & Nancy Small, A Field Identification Guide to Invasive Plants in Michigan's Natural Communities, ﻿A Field Guide to Invasive Plants of Aquatic and Wetland Habitats for Michigan﻿, ﻿Landscaping with Native Plants of Michigan﻿ by Lynn Steiner and Bees of the Great Lakes Region and Wildflowers to Support Them. Come to Our Native Plant Sale on May 26, 2018! Some of our favorite reference books will also be available for sale including Bringing Nature Home by Douglas Tallamy, Using Native Plants to Restore Community in Southwest Michigan and Beyond by Tom & Nancy Small, A Field Identification Guide to Invasive Plants in Michigan's Natural Communities,﻿ A Field Guide to Invasive Plants of Aquatic and Wetland Habitats for Michigan﻿, ﻿Landscaping with Native Plants of Michigan﻿ by Lynn Steiner and Bees of the Great Lakes Region and Wildflowers to Support Them. The Harris Nature Center is hosting a native plant sale on Saturday, May 5, 2017 from 9 am to 1 pm. The plants are grown locally from local seeds by Designs By Nature. The owners, Vern and Sue Stephens, will be available on Native Plants Day to answer your questions about incorporating these plants into your gardens. Plants can be pre-ordered until April 27 or purchased on May 5th. The proceeds from the sale support the Harris Nature Center. Contact hnc@meridian.mi.us or 517-349-3866 with questions. For a complete species list and order form click here. The Clinton Conservation District offers several species of native trees and shrubs on their spring tree sale list. The mail-in order deadline is March 30th. Pickup dates are April 20-21, 2018 at Peck Hall, Clinton County Fairgrounds, 810 W. Sickles, St. Johns. Extras will be available on a first come first serve basis. Print the order form or order online by clicking here. The Eaton Conservation District offers several species of native trees and shrubs on their spring tree sale list. The mail-in order deadline is March 27th. Pickup dates are April 20-21, 2018 at Kardel Hall, Eaton County Fairgrounds, 1025 Cochran Ave, Charlotte. Numerous fact sheets and order form can be found here. The Ingham Conservation District offers several species of native trees on their spring tree sale list. The mail-in and online order deadline is March 26, 2018. Pickup dates are April 20-21, 2018. Get the catalog or order online by clicking here. Come to Our Fall Native Plant Sale on September 17, 2016! The Wacousta General Store, 13051 S. Wacousta Road, Grand Ledge, MI 48837 @ the corner of Wacousta & Herbison Roads. ECD is hosting their annual Native Wildflower sale on June 2nd from 3-7pm, in Partnership with the Dimondale Farmers Market. A variety of plants are available, including Bergamot, Joe Pye Weed, Purple Coneflower, Jack-in-the-Pulpit, Butterfly Weed, Maidenhair Fern, Indian Grass, and more. Pre-order Deadline May 27th. Limited quantities available the day of the sale on a first-come, first-serve basis. For more information and an order form click here. ​McGuire Park, 1050 W Main Street Dewitt, MI 48820.